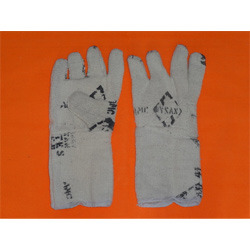 We are among the eminent names in industry, involved in manufacturing and supplying a wide array of Safety Hand Gloves. We have used best grade materials in manufacturing these gloves and in compliance with the international quality standards. 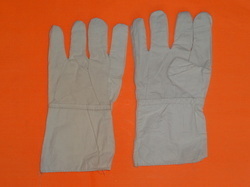 These gloves are used for protecting hands from various casualties in different industries. Further, our range comprises Open Lock Leather Hand Gloves, Industrial Cotton Hand Gloves, Factory Cotton Hand Gloves, Hosiery Hand Gloves, Asbestos AMC 41 Hand Gloves, Knitted Hand Gloves with Long Sleeves and many others. 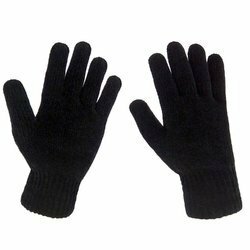 We are among the most prominent manufacturers and suppliers of an extensive range of Black Knitted Hand Gloves. 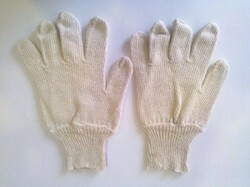 Our offered hand glove is precisely designed using quality assured cotton-natural fibers and latest techniques. This hand glove is availed in different customized options so as to meet the needs of our customers. We have gained years of experience in the field of manufacturing and supplying a large variety of high-quality Knitted Open Lock Hand Gloves With Long Sleeves, which are available at most reasonable rates. We use optimum quality raw materials and innovative techniques in the fabrication of these gloves. The range offered by us is available in varied sizes with open lock size 9 number, which is used in specific applications. 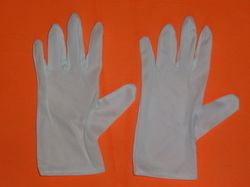 Hosiery Hand Gloves are flexible. It has fine stitching and it is easy and comfortable to wear. 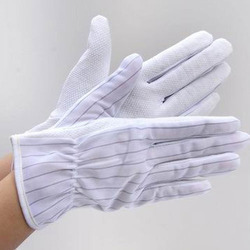 Theses Hand Gloves are made from hosiery cloth of superior quality and with elastic wrist. We supply all sizes as per client’s requirements. 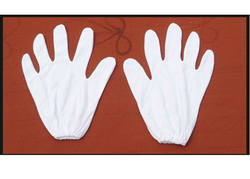 We are one of the leading trader, distributor and exporters of Cotton Half Leather Hand Gloves. 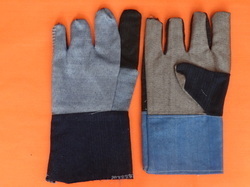 We are one of the leading trader, distributor and exporters of Jeans Half Leather Hand Gloves. We have gained a vast industry experience in the field of manufacturing and supplying a large variety of Knitted Cotton Hand Gloves. 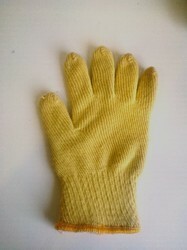 Available for various general purposes in various industries, these gloves are used in material handling applications. We offer our comprehensive range in different specifications such as 40 gm/50 gm/60 gm/70 gm/80 gm/90 gm. Furthermore, we offer our range within the stipulated time frame. 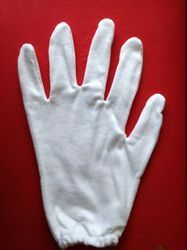 As a leading firm, we are involved in manufacturing and supplying a wide variety of Industrial Cotton Hand Gloves. Our craftsmen have made the use of best grade raw and well-selected cotton fabrics and other raw materials in the fabrication of these gloves. We have designed and developed our range by keeping in mind clients’ safety features and for the hazardous sites. Apart from this, our range is available in varied specifications and at most affordable rates. Anti Static Hand-Gloves offeredto provide for comfortable & high-performance usage and provide for highly stretchable working support. 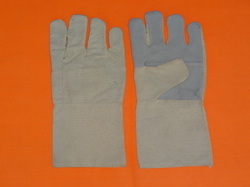 Further, these gloves are also anti-static and can be made available at competitive prices. Some of its features include availability in material options comprising 100% polyester fabric and conductive carbon yarn; choice of different colors; different size choices of S, M, L, XL, XXL; suitable for use in areas like computer assembly, automotive assembly and others; offering superior surface resistance. 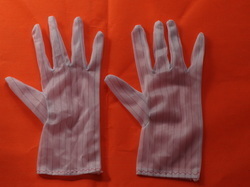 We are leading supplier of Juba Polyester Hand gloves. 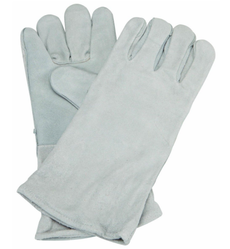 Size 12, 14,16, 18, 22"
Our rich industry experience enables us to manufacture and supply a large gamut of Asbestos Hand Gloves. These gloves can bear the high temperature up to 150°C. One can avail our range in the different sizes such as 12", 14",16", 18", and 22". Owing to their unmatched quality and outstanding attributes, these gloves are highly accredited and demanded by our valued clientele. We offer our range at most feasible rates in the market. Knitted Hand gloves-Blue Colour offered comes in quality construction finish and find usage suitability in areas like construction, industrial work, household and other areas. Further, these hand gloves can be offered by us in different sizes as well as in other different color options to pick from. 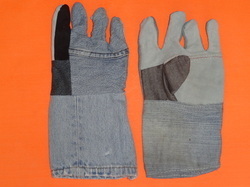 Jeans Hand gloves offered can be made available by us in different finish configuration choice including options of different sizes and construction fabric options as demanded by the customers. Made available in durable construction finish, these hand gloves find use in areas like component handling, general assembly, electronics, light engineering work and other places. Here, our expertise also lies in making these available to OEM specifications as demanded by the customers. Nylon Lint Free Hand gloves offered can be made available by us in different finish sizes as well as in durable stitched finish so as to offer lasting service usage. Further, these can also be available with the support of PU dipping, Nitrile dipping and Latex dipping as per the specifications provided by the customers. Some of its features include hand gloves provided with nylon nitrile dotted one side/both sides; provide for multipurpose usage, allows for high comfortable usage and hand movement flexibility. 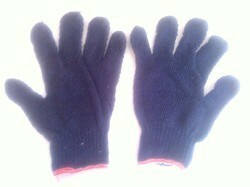 We are leading supplier of Black Lint Free Hand gloves. 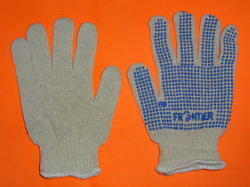 We are leading supplier of Dotted Handgloves. 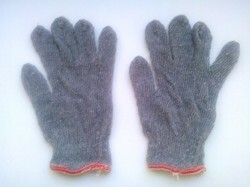 We are leading supplier of Knitted Hand Gloves-Grey Colour. 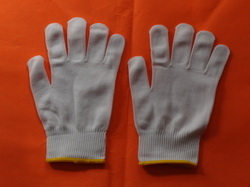 We are leading supplier of Kevlar Aramite Hand Gloves. 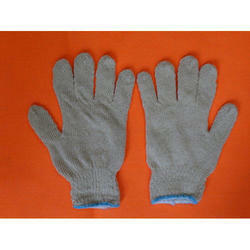 We are leading supplier of Lint Free Handgloves. Leather Hand gloves Heavy Quality offeredcome developed using specially selected quality split leather which makes these provide adequate safety to the hands during handling of demanding tasks. Further, these also feature superior stitching finish so as to provide for resistance to tearing at seams. Some of its features include providing for lasting service usage; superior heat resistance; fine finish quality. Backed by a team of highly skilled and adroit professionals, we are engaged in manufacturing and supplying a large variety of Asbestos AMC Hand Gloves. Our range is capable to withstand 200 degrees or higher temperature. 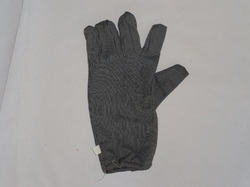 We have made the use of heat-resistant asbestos for lining inside these gloves. 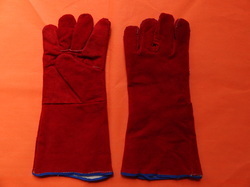 These gloves are made in such a manner that they are suitable for high-temperature works and can be used in welding works. We offer our exclusive range of varied colors, sizes, and other related specifications.